I’m sure that I’ve mentioned this several times already, but I pretty much live for summer. 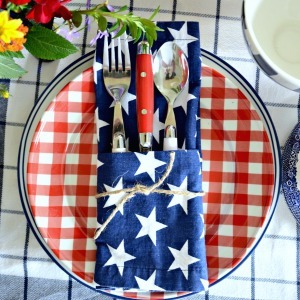 I love the more laid back feeling, the longer days, the time spent outdoors, summer BBQs – all of it! 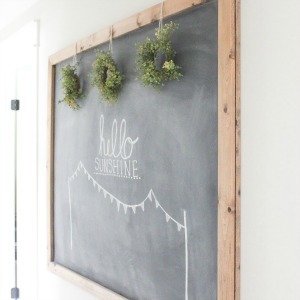 For this month’s 10 Minute Decorating Hop, we’re showing you some quick and easy ways to decorate for summer. 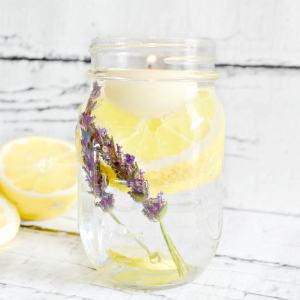 It’s all about keeping things simple so you can relax and enjoy that summer time vibe! Last month, I mentioned all of the plans that I had for our outdoor entry way and front porch and… none of them got done. Whomp, whomp. As you can see, the paint job on the porch took a beating over the winter and is looking extremely chippy. While we were initially just going to repaint it, we ended up deciding to redo it with composite decking. It will still be at least another few weeks until the new front porch is completed, so, for now, please forgive the chipiness! 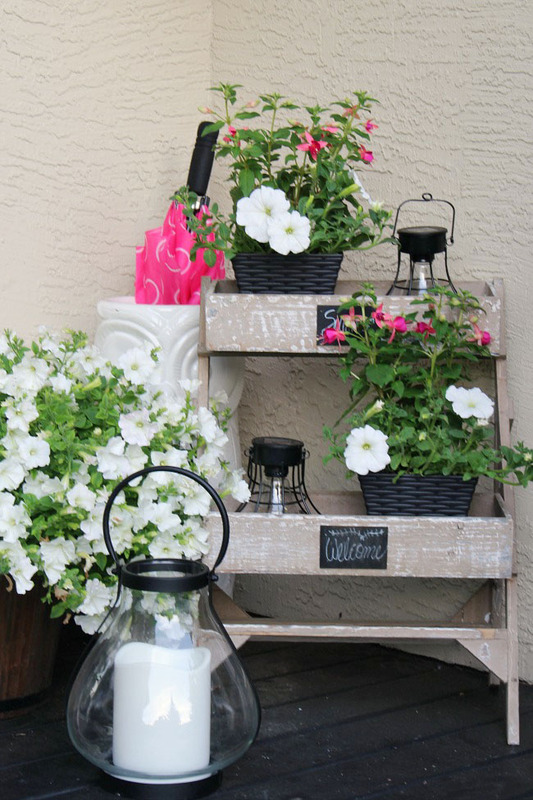 I love adding flowers to any summer decorating. I’m not really much of a gardener, so I try not to do anything too complicated. I look for planters that fit directly into pots or containers that I already have and just plop them in – container and all. Most of the planters have trailing flowers so the top of the plastic planter basket gets completely covered. If you still see some of the top of the planter basket, just top if up with some fresh soil and it looks like you’ve created your own beautiful planter. 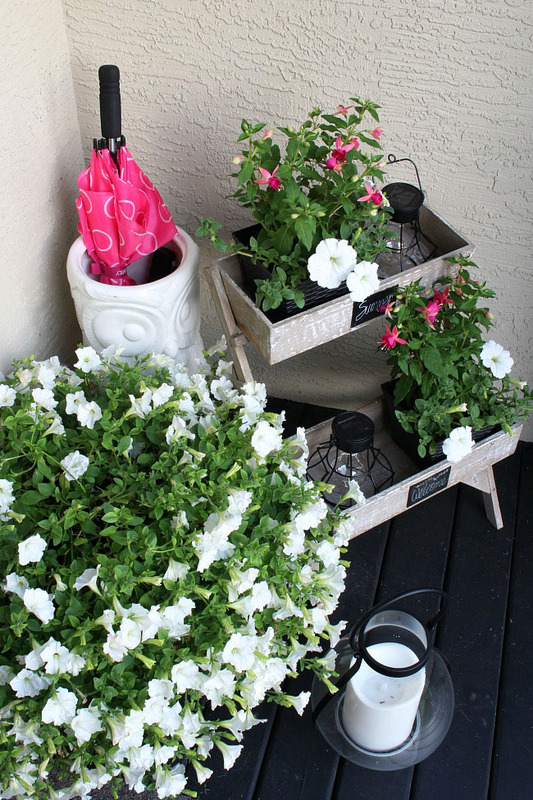 I also created some smaller little baskets with fuschias and petunias. Hopefully I won’t have to use that umbrella too often, but unfortunately, we do still get some wet summer days. 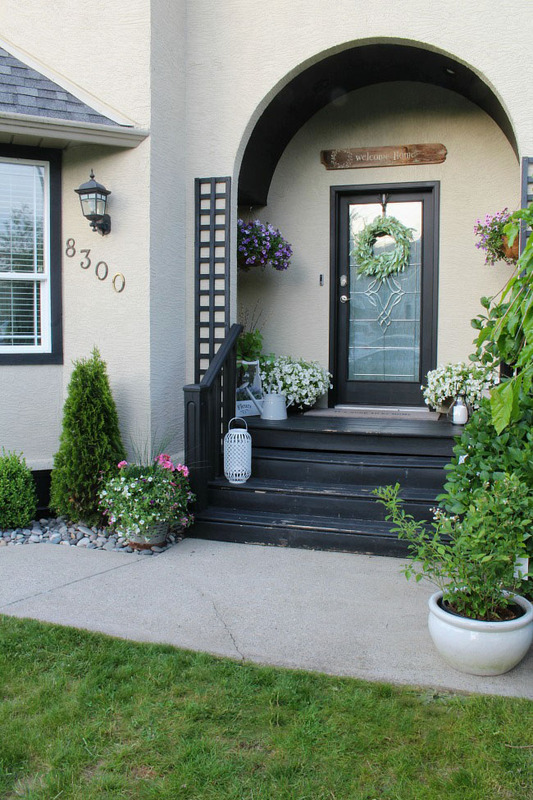 I also included a few faux flowers and greenery into the patio for no-hassle maintenance! The green stems in the vintage demijohn and lavender are just some faux flowers that I had around the house. I then topped off the lavender with soil to give it more of a realistic effect. 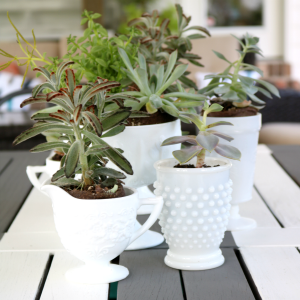 A cute watering can adds some interest while keeping things handy for a quick watering. For maintenance, I spend about 10 minutes out here each morning – watering, deadheading, and doing any little trimming that’s needed. It’s a relaxing way to start the day and really doesn’t involve a lot of time. So what about you? 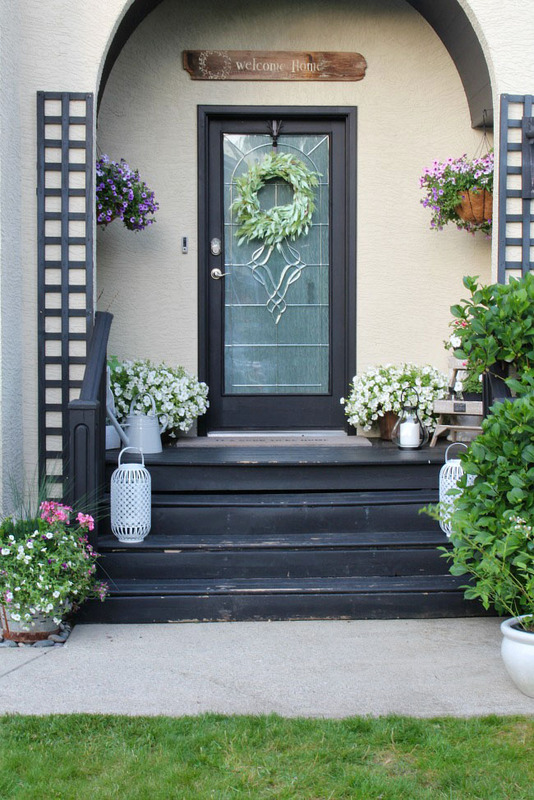 Do you decorate your outdoor entry for summer? I’d love to hear any tips that you may have! Everything looks SO bright and sunny! LOVE it! 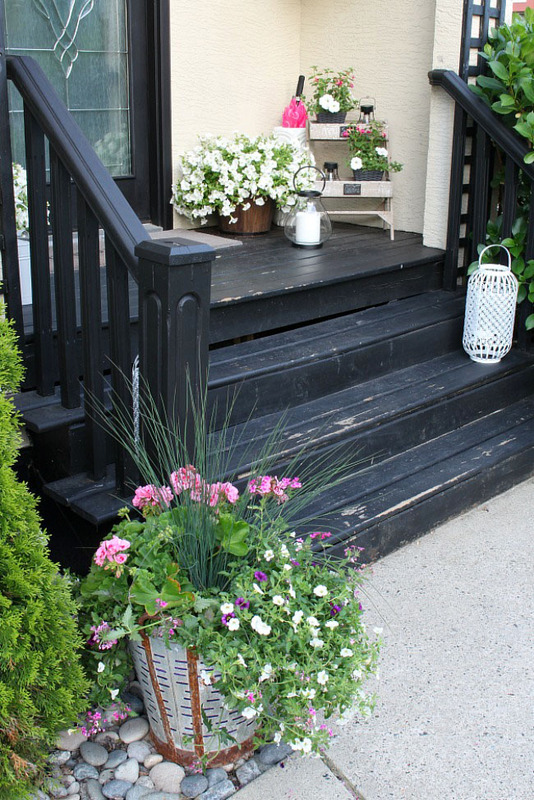 Love your front porch and all the gorgeous blooming flowers! That look lovely! The flowers and accessories are great together! You’re porch is so pretty! I love everything you used especially that fleurs box. 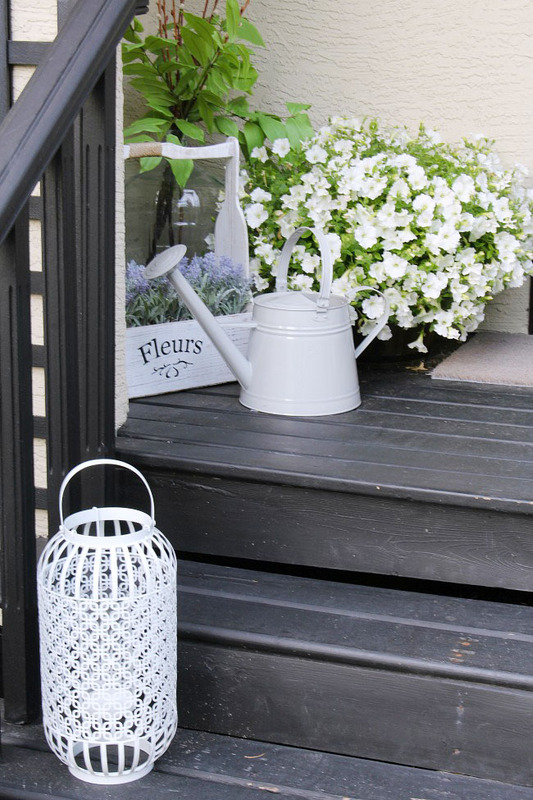 Your front porch decor is perfectly fresh and charming. I love how you’ve chosen to display your plants, and the lanterns add so much to the look, too. Very nice! What a difference some flowers make. 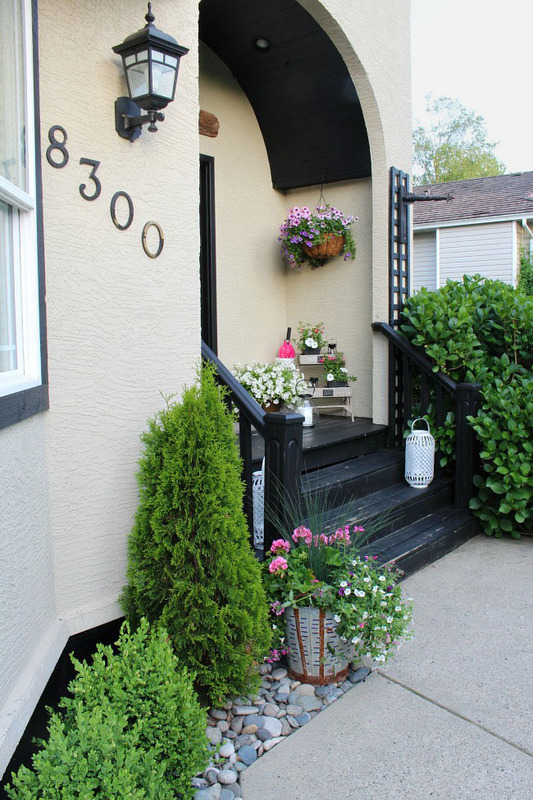 Your front porch looks so welcoming and inviting. Thanks so much for sharing with us at #overthemoon link party. I’ve shared on social media. Have a great week and see you next week. 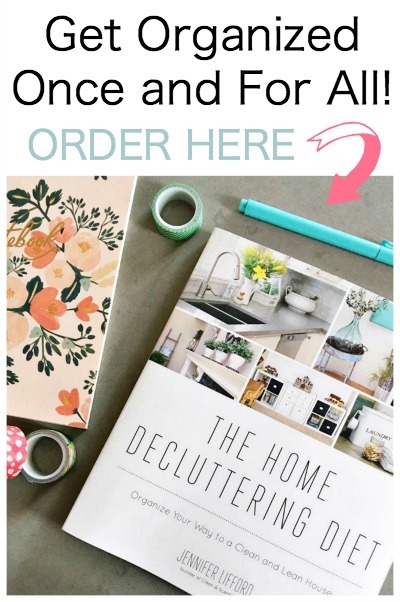 Your flowers and accessories are gorgeous! Your talent is beyond words; wish you were my next door neighbor. Did you make the planters or buy them somewhere? And as silly as this might sound, I love the way the chipped paint on the porch looks. To me it adds to the ambiance and distressed wood is everywhere these days. Thanks so much! Maybe I should change the post to read that I intentionally went for the chippy look. 🙂 I got the planters at Home Depot. On a side note, you have the same name as me! (my maiden name was Williams). Jenn, I’m just popping in to let you know you were featured this week at Share Your Style. Thank you so much for linking up with us. Thank-you so much Carol!! I appreciate you hosting!